It’s easy for contact center agents to disengage and go on autopilot while working, mechanically answering one call after the next. Although this kind of performance may not necessarily result in bad reviews and poor customer satisfaction, it rarely produces the opposite effect either. Improving customer satisfaction starts with agent performance. Here are five things you can do to boost agent performance at a Contact Center; Today’s article is all about, How to Boost Call Center Agents Performance. Building camaraderie among agents improves performance in many different ways. Use tracking programs to diagnose your agent's strengths and weaknesses, and partner them up with team members with the opposite skill set. The exchange of information will help agents improve in areas that they do not currently excel, bolstering their overall performance. Additionally, people who have an emotional connection to their job and the people the work with are likely to stick around longer than those who do not. By encouraging friendship among agents, contact centers can increase agent tenure, which decreases many of the costs associated with hiring and training new team members. Modern programs that monitor calls have made it easier than ever to diagnose agent's strengths and weaknesses when interacting with callers. These contact center solutions provide contact centers with specific, contextual details about agent's performance, allowing you to get to the root of poor performance reviews. With this in mind, ask yourself a few questions before cutting ties with an agent due to his or her poor performance. Is it a result of lack of knowledge about the product or company policies, or is it due to rudeness or a bad attitude? The former is fixable; the latter may not be. It costs less to re-train current employees than it does to hire and train new ones, so understanding exactly why an agent is performing poorly allows contact centers to decide whether it is worth the time and money to re-train an agent or hire someone else. After you have identified the specific areas that need improvement, communicate them with agents and create customized training regimens that target those areas. In doing so, you avoid giving agents repetitive and unnecessary training. No one likes to sit through training seminars that they don’t need – it’s a waste of both the agent’s and the Call Center’s time. Creating a unique action plan allows contact center to make better use of their time, as well as their agent’s. After all, the less time someone spends in unnecessary training courses, the more time he or she can spend fielding phone calls and helping customers. Providing agents with exactly the training they need allows contact centers to train agents more efficiently and effectively, which, in turn, also cuts down many of the costs associated with training and re-training employees. Although employee interaction and customized training work together to create well-rounded and knowledgeable agents, team members will always have some issues they are better at handling than others, based on their own interests and experiences. Take advantage of your agents’ unique strengths by sending them calls related to their own areas of expertise. For example, if your contact center receives a call regarding a product’s software, send it to an agent who specializes in software rather than one who specializes in hardware. Doing so will improve customer satisfaction and also optimize agent performance and decrease call times, allowing agents to handle more calls successfully throughout their shift. Studies have shown that people work in relation to how much they are compensated. Contact center agents are no exception to this rule. After you have created a customized action plan for every agent, monitor their interactions with callers and hold them accountable for improving their performance on every call. When agents improve, compensate them accordingly. Furthermore, agents who realize that their hard work is noticed and appreciated are more likely to continue working harder than those who feel invisible and underappreciated. Team members who feel valued are also likely to stay around longer than those who do not. Increasing agent tenure benefits call centers in many ways, including improving customer satisfaction and reducing the cost or hiring and training new employees. If you’ve noticed declining agent performance and poor customer satisfaction at your contact center, there are steps you can take to change this. Agents are the face – or voice, in this case – of a contact center. 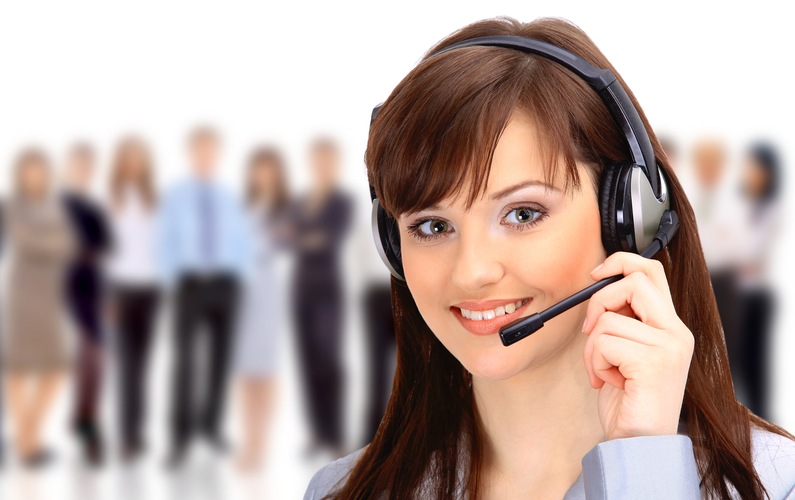 Their performance is a reflection of the call center; improving agent performance improves many other things as well. To boost agent performance at your call center, follow these five easy Call Center Solutions guide.